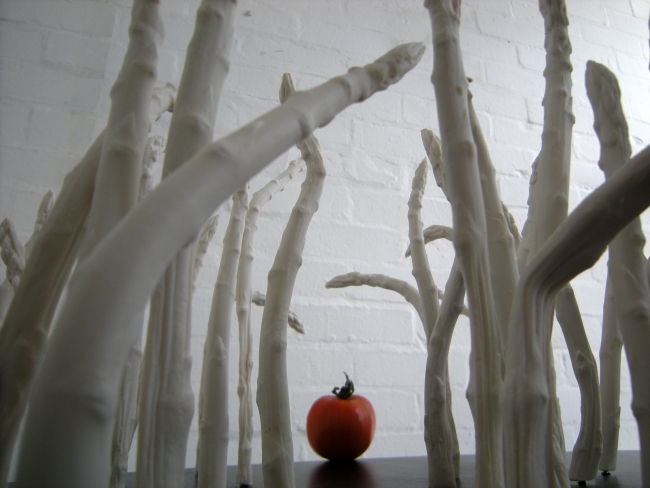 A site specific piece of work created for an exhibition with the Siobhan Davies Studies, London. In the 19th century, the French ballerina Louise Fitzjames had been unfavourably caricatured as a Dancing Asparagus in a ballet of the vegetables, with ‘no body at all… as skinny as a lizard or a silkworm.’ Today, a strikingly large proportion of dancers have eating disorders. 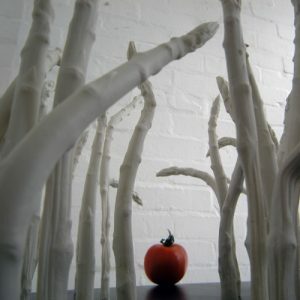 My response to this site specific exhibition was a sculptural piece involving ‘Dancing Asparagus’; it is a representation of today’s body size within dance. 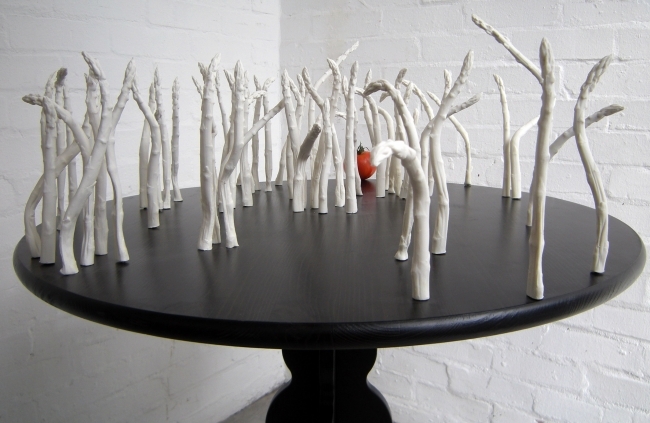 The desire in the finished piece is to create a feeling of repetition and conformity in size and shape; to present an audition of dancing porcelain asparagus on the stage of the dining table.